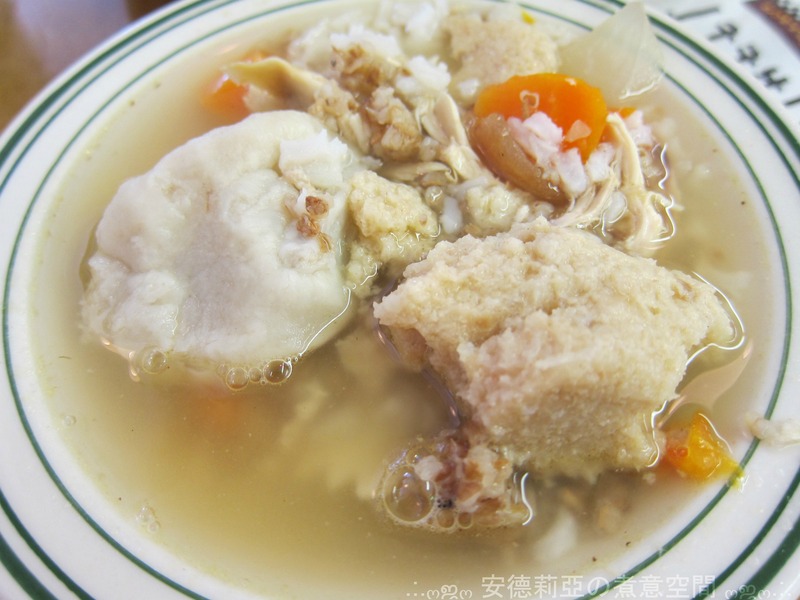 Philadelphia Eats: Famous 4th St Delicatessen | . :.ღஜღ 安德莉亞の煮意空間 ღஜღ.:. I love Food Network, and Alton Brown is one of my favourite show host. I had to come here and try their famous chicken soup. No, actually I would love to try everything on the menu, but I only have one stomach and I had no eating partner with me on this trip. Prices may look steep at first, but every dish can easily feed 2-3 people, or it can translate to leftover for the next 2-3 meals. It’s good solid homemade Jewish food. Come here with a good appetite, and/or with a few people to share the food. Don’t forget they will give you a cookie after you finish your meal. The lady warned me it’s big before I placed my order (I was prepared for the size). She even gave me two tupperware before the soup arrived. 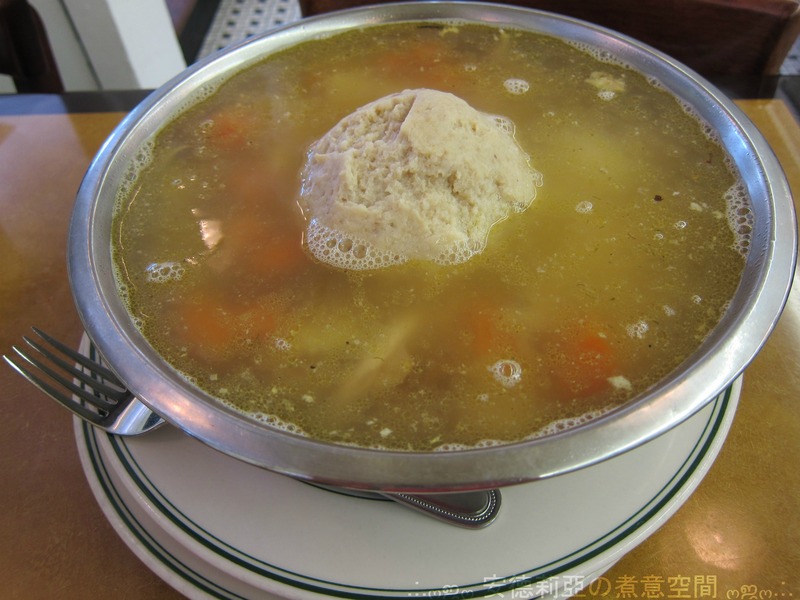 It’s a big pot of hearty chicken soup, with a giant matzoh ball in it. You can probably serve 4-5 people. The soup was just homemade goodness, plus it was not overly salty. I do want to say that their kreplach was totally out of this world! However I’m not too happy with their matzoh ball, it’s just not light and fluffy enough. I thought it was a bit coarse and grainy. Click here to see my other reviews on the local dining scene.